"OSBORNE RANCH & KENNELS, LLC"
BREEDING, RAISING AND TRAINING LABRADOR RETRIEVERS SINCE "1989"
Birds are all starting to lay eggs so I am loading the incubator up! 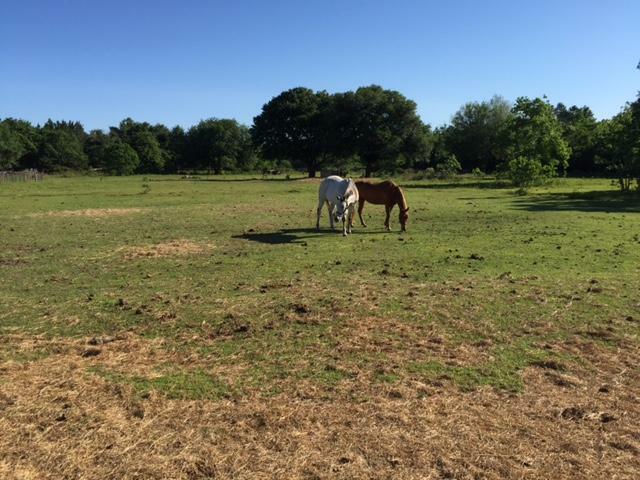 THE HORSES ENJOYING TIME OUT ON THE PASTURE! VISITORS ARE ALWAYS WELCOME AT THE RANCH BUT PLEASE CALL FOR AN APPOINTMENT 904-753-1155 WE STAY VERY BUSY. THANK YOU! When you see Lowes Home improvement you will Turn right at the next Traffic Light "After" the Lowes Home Improvement store on SR 107/Nassauville Road (Exxon on the corner) Go 2 miles then turn right on Hendricks rd, take the 3rd road to the right, Hatton rd, go to the end, then turn Right on Osborne Trail.... You are Here! From Fernandina Beach....Take A1A or SR200 West, go over the Bridge (inter coastal) at the Light in Oneil (Exxon/Flash Foods) Turn Left on to Nassauville Road (107) Then follow the directions above. Additional Information regarding Nutritional Values in our Corriente Beef.